Author: Rachel ter Horst, MSF medical advocacy advisor. Visceral leishmaniasis (VL), a protozoan disease transmitted by sandflies, is the second-biggest parasitic killer worldwide (after malaria). In Ethiopia, the host country for the ICASA 2011 conference, VL and especially HIV/VL co-infection are major public health problems: more than one in three Ethiopian patients with VL is also HIV-positive, the world’s highest co-infection rate. Treatment of HIV/VL patients presents serious challenges. The two diseases create a vicious spiral: HIV infection increases susceptibility to VL more than 2000-fold, and infection with VL accelerates progression to AIDS. VL is much more difficult to treat in patients with HIV, and even when initial treatment succeeds, patients usually relapse. While there are various drugs available for treating VL, all have drawbacks—for example, sodium stibogluconate (SSG) is highly toxic, particularly in HIV/VL patients (16-33% mortality during treatment) [1,2]; miltefosine is teratogenic; and resistance to drugs is a growing problem, especially when using monotherapy. Liposomal amphotericin B (L-AmB, currently registered as AmBisome®) is safe but must be given intravenously, and is prohibitively expensive for many settings. All these drugs show lower efficacy in HIV/VL patients. As a physician with Médecins Sans Frontières (MSF) I spent two years living and working in Ethiopia, first in Humera, a hot, dusty border town, where MSF teams treated thousands of people with VL and HIV over the program’s 11 years. Here and elsewhere we worked towards better treatment for HIV/VL patients, and in a late-breaker oral presentation at ICASA I presented new data on outcomes of an alternative drug combination regimen and gave an overview of MSF’s experience managing HIV/VL patients in Ethiopia. The main news was hopeful. In 2010 MSF introduced a new combination treatment, after evaluation of high dose L-AmB monotherapy in HIV/VL patients showed disappointingly limited effectiveness in HIV co-infected patients (32% parasitological failure)  and unacceptable mortality (16%) during “rescue” treatment of these patients with SSG. But in 50 patients treated with L-AmB (30 mg/kg) plus miltefosine (28 days), results were significantly better: initial cure rates of HIV/VL relapse, which is notoriously difficult to treat, were 87%, compared to 38% with L-AmB monotherapy (p<0.001). In 2012, MSF and several partners  will launch a randomized trial of the 2-drug combination, as well as higher-dose (40 mg/kg) L-AmB monotherapy, in co-infected patients. Cellular immunity is vital for suppressing remaining parasites after VL treatment. While I was in Ethiopia, we demonstrated that ART in HIV/VL patients improves CD4 cell reconstitution only partially. Patients who had a VL relapse fared worst : their CD4 levels never increased above 100 and VL relapses kept coming. Based on these findings, MSF now starts HIV/VL patients on ART as soon as possible after (first) VL treatment, regardless of CD4 count. Because ART alone is not adequate to prevent VL relapse, MSF and partners will soon begin a prospective study of secondary prophylaxis using monthly pentamidine injections. MSF’s experience with VL and HIV/VL patients has important implications for HIV programs in VL-endemic countries. Donors and national HIV programs in these regions should include interventions that scale up VL prevention (e.g., impregnated bednets), diagnosis and optimal treatment. Access to early ART for those most vulnerable to VL, including rural migrant laborers and migrated populations, should be improved. In HIV-positive patients infected with the VL parasite but still asymptomatic, early use of ART may be the best way to prevent re-activation of latent VL. SSG should be avoided (due to its extreme toxicity) and high-dose L-AmB-based combination treatments given until parasitological cure is achieved, with ART added as soon as possible. And VL-endemic countries should add VL as in indication for ART initiation, irrespective of CD4 count. Access to L-AmB is a major challenge, mainly due to its high price. The recent AmBisome® donation agreement is significant in that it helps advance immediate treatment for one of the world’s most neglected diseases in four least-developed countries. 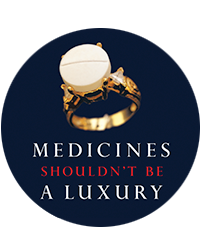 But much more is needed to ensure long-term affordability and widespread availability, including more competition from similar products (for example, to reduce price) and registration of miltefosine and other VL drugs in more East African endemic countries, which otherwise cannot import them. Rachel ter Horst is a Dutch physician who has worked for Médecins sans Frontières since 2003. She is currently serving as medical advocacy advisor, based in Amsterdam. 1. Ritmeijer K, Veeken H, Melaku et al. Ethiopian visceral leishmaniasis: generic and proprietary sodium stibogluconate are equivalent; HIV co-infected patients have a poor outcome. Trans R Soc Trop Med, 2001, 95;668-72. 2. Ritmeijer K, Dejenie A, Assefa Y, et al. A comparison of Miltefosine and Sodium Stibogluconate for treatment of Visceral Leishmaniasis in an Ethiopian population with high HIV-prevalence. Clin Infec Dis, 2006, 43 (3): 357-64. 3. Ritmeijer K, ter Horst R, Chane S, et al. Limited effectiveness of high-dose liposomal amphotericin B (AmBisome®) for treatment of visceral leishmaniasis in an Ethiopian population with high HIV prevalence. Clin Infect Dis 2011: Dec;53(12):e152-8. Epub 2011 Oct 19. 4. Drugs for Neglected Diseases initiative (DNDi), Gondar University, Ethiopia, and the Institute of Tropical Medicine (ITM) in Antwerp, Belgium. 5. Ter Horst R, Collin S, Ritmeijer K, et al. Concordant HIV infection and visceral leishmaniasis in Ethiopia: the influence of antiretroviral treatment and other factors on outcome. Clin Infect Dis 2008:46;1702-9. This post initially appeared in the Speaking of Medicine PLoS community blog on 3 January 2012.